LATEST REGISTRATIONS: QINETIQ, Gladius Tactical, Microsoft, Rheinmetall Canada Inc, DSTL, Abaco Systems..
SMi Group is proud to announce the second Military Robotics and Autonomous Systems conference will be held in London from the 3rd - 4th April 2019. The only event specifically dedicated to robotics and autonomy for the land environment, RAS 2019 will give you essential insight into the development and implementation of Unmanned Ground Vehicles across international military organisations. In 2018 we hosted leading briefings from the British Army, Israeli Defence Forces, DGA, USMC, US Army as well as industry such as Endeavor Robotics, QinetiQ, Safran and IAI. With a unique focus on situational awareness, lethality, maneuverability, survivability and sustainability, Military Robotics and Autonomous Systems is the only event in 2019 which will enable you to return to your defence force with the latest information and contacts in this ever evolving market place. Military Robotics and Autonomous Systems 2018 is the perfect occasion to meet the most informed and world-renowned experts in the field of autonomous and robotic technologies. Attend the two-day conference and benefit from insights delivered by first-class scientists, researchers, academics and senior military figures. 11:30 Modern technologies will disrupt the future battlefield- are we ready? Supporting logistics and survivability: reducing risks to military personnel and increasing efficiency of last mile logistics. Enhancing manoeuvrability to allow soldiers to deliver decisive lethality during combined arms manoeuvres. FLIR Systems is a world-leading industrial technology company focused on intelligent sensing solutions for defense, industrial, and commercial applications. FLIR Systems’ vision is to be “The World’s Sixth Sense,” creating technologies to help professionals make more informed decisions that save lives and livelihoods. Since its establishment in 1975, ASELSAN has grown steadily to become one of the largest defense companies in the region. ASELSAN’s expertise covers a wide range of applications, including radar, electronic warfare, communications, electro-optics, navigation & avionics, C4ISR, homeland security, naval systems, weapon systems, and traffic & toll collection systems. These activities are performed in three manufacturing facilities located in Ankara, Turkey with a workforce exceeding 4800 employees, over half of which are engineers. Domo Tactical Communications (DTC) has been at the forefront of innovation for over 50 years, developing leading edge communication technologies for successful operations in demanding environments, where COFDM technologies provide longer range and penetration. As a global leader of wireless communication, DTC works with military, law enforcement, counter-terror units, governments, robotics and autonomous operations and system integrators on key surveillance and communication challenges. The rise in global demand for Robotic, Unmanned and Connected systems has created a requirement for innovative, reliable and secure connectivity solutions. DTC are pioneers in the creation of wireless RF Unmanned Communication solutions and have the experience, knowledge and capabilities to assist all areas of industry in meeting these challenges. DTC's High Data Rate (HDR) IP Mesh radios enable enhanced range, Beyond Visual Line of Sight (BVLOS) operations for Robotic and Autonomous Systems (RAS) through use of COFDM waveforms. DTC’s mission critical solutions secure, share and communicate real-time video, voice and data to enable Shared Situational Awareness (SSA) on land, on sea, in the water and in the air. DTC’s Cutting-edge Mobile Adhoc Network (MANET) Mesh radio solutions deliver ultra-low latency, end-to-end encryption and are used globally on-board USV, UAV and UGV platforms to support mobile, long range semi-autonomous (man-in-the-loop) and autonomous operations. DTC’s passion for innovation keeps us one-step ahead in the rapidly changing and increasingly challenging environments in which we perform whether on the battlefield or the streets of our cities. High performance communication systems enable our customers to securely monitor, communicate and share information with confidence in complex environments and in the most demanding situations. 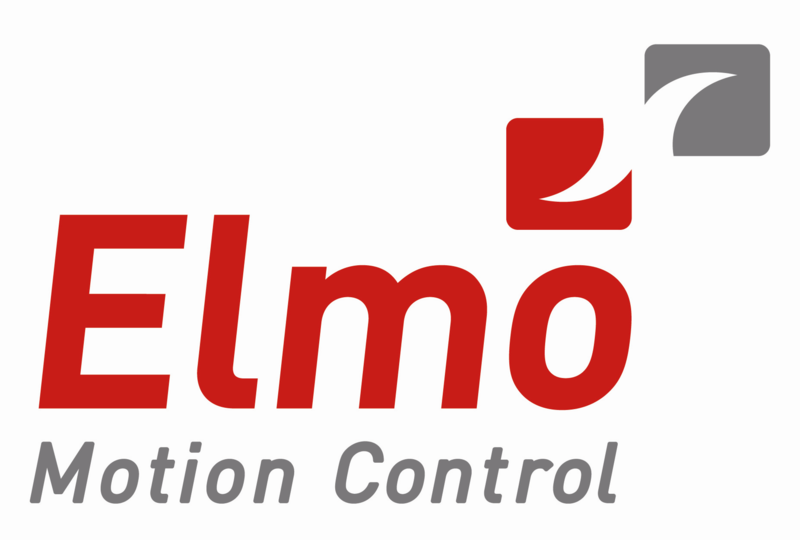 Elmo, a leading provider of cutting-edge motion solutions for more than 30 years o?ers intelligent, easy to implement, ultra-small and rugged servo drives and motion controllers for various harsh environment applications such as drones, UAV, missile guidance, turrets, and naval applications. 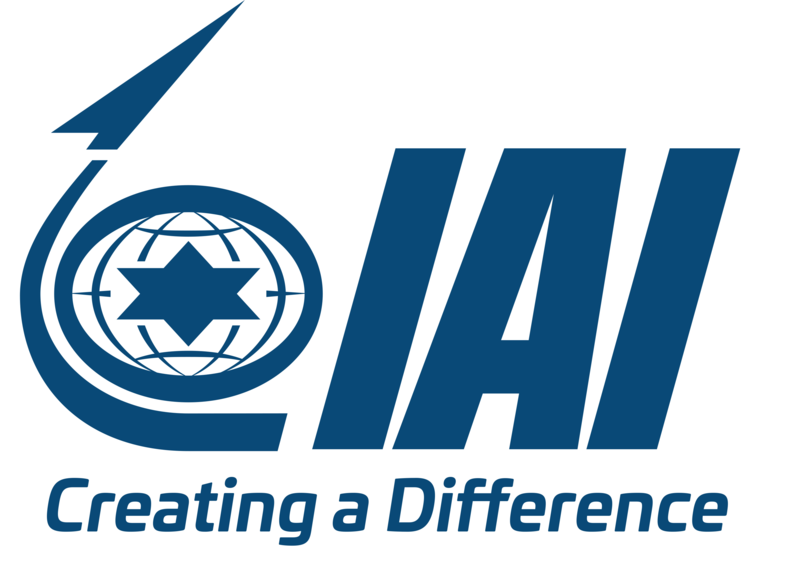 View details IAI Sponsors and Exhibitors http://www.iai.co.il IAI is a world leader in both the defence and commercial markets, delivering state-of-the-art technologies and systems in all domains: air, space, land, sea, cyber, homeland security and ISR. Drawing on over 60 years of experience developing and supplying innovative, cutting-edge systems for customers around the world, IAI tailors optimized solutions that respond to the unique security challenges facing each customer. IAI employs its advanced and proven engineering, manufacturing and testing capabilities to develop, produce and support complete systems - from components, sensors and subsystems all the way to large-scale, fully-integrated systems of systems. Milrem Robotics is an Estonian defence industry company with the primary focus of manufacturing unmanned ground vehicles, developing robotic warfare solutions and performing concept of operations and doctrine level warfare analysis. The company was established in 2013, however, has already managed to establish itself as one of the leading companies in their field with their main product – the THeMIS unmanned ground vehicle. This unmanned system is a multi-mission platform that can be used for a wide variety of defence applications including: transportation, surveillance and reconnaissance, force multiplier etc. Milrem Robotics is based in Tallinn, Estonia. Safran is a leading international high-technology group with three core businesses: Aerospace, Defence and Security. Operating worldwide, the Group has 70,000 employees and generated sales of 17.4 billion euros in 2015. Safran is listed on Euronext Paris and is part of the CAC40 index, as well as the Euro Stoxx 50 European index. Safran Electronics & Defense is a world leader in optronics, avionics, electronics and critical software for both civil and military markets. No.1 in Europe and No.3 worldwide for inertial navigation systems used in air, land and naval applications, it is also the European leader in optronics and tactical UAV systems and the world leader in helicopter flight controls. Operating across the globe, Safran Electronics & Defense and its subsidiaries employ 7,600 people in Europe, Asia-Pacific, North America and South America. The company’s products are deployed worldwide on more than 600 ships, 7,000 armored vehicles and 10,000 aircraft. 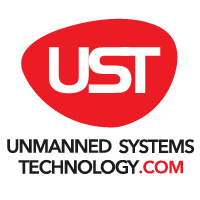 View details Unmanned Systems Technology Magazine Official Media Partner http://www.ust-media.com Unmanned Systems Technology magazine is focused entirely on the innovative engineering that's successfully pushing boundaries on land, in the air, at sea and even through the universe. Published bi-monthly, UST provides independent coverage of the engineering at the heart of unmanned vehicles. Subscribe today! View details Global Military Communications Supporting Media Partners http://www.globalmilitarycommunications.com Global Military Communications is a publication that tracks the trends, drivers and technology that fuel the military communications sector. Communications continue to be the lynchpin of modern warfare and is crucial to any military campaign. The sector is going through unprecedented change as militaries and governments across the world move towards a network centric approach to their communications. From operations in war zones to homeland security and disaster recovery operations, Global Military Communications provides you with the latest communications developments on land, sea, and in the air. View details Unmanned Systems Technology (UST) Supporting Media Partners http://www.unmannedsystemstechnology.com/mag/ Unmanned Systems Technology (UST) magazine focuses entirely on the innovative engineering that's successfully pushing boundaries on land, in the air, at sea and even throughout the universe. UST is brought to you by High Power Media (HPM) - a specialist engineering technology publisher. The HPM team are behind the globally renowned Race Engine Technology (RET) magazine - a high quality, in depth print review of contemporary racing powertrain technology. RET is widely read, referred to and sought after by its dedicated readership of design and development engineers. UST is unique - the first ever publication to focus entirely on providing independent coverage of the engineering at the heart of unmanned vehicles. It applies the same rigorous scientific approach to this brave new world as RET brought to the subject of racing powertrain technology. Published bi-monthly, UST probes today's cutting edge projects to provide in-depth research insights - rigorous investigation is backed by professional peer review and critical analysis. IAI is a world leader in both the defence and commercial markets, delivering state-of-the-art technologies and systems in all domains: air, space, land, sea, cyber, homeland security and ISR. Drawing on over 60 years of experience developing and supplying innovative, cutting-edge systems for customers around the world, IAI tailors optimized solutions that respond to the unique security challenges facing each customer. IAI employs its advanced and proven engineering, manufacturing and testing capabilities to develop, produce and support complete systems - from components, sensors and subsystems all the way to large-scale, fully-integrated systems of systems. Unmanned Systems Technology magazine is focused entirely on the innovative engineering that's successfully pushing boundaries on land, in the air, at sea and even through the universe. Published bi-monthly, UST provides independent coverage of the engineering at the heart of unmanned vehicles. Subscribe today! Unmanned Systems Technology (UST) magazine focuses entirely on the innovative engineering that's successfully pushing boundaries on land, in the air, at sea and even throughout the universe. UST is brought to you by High Power Media (HPM) - a specialist engineering technology publisher. The HPM team are behind the globally renowned Race Engine Technology (RET) magazine - a high quality, in depth print review of contemporary racing powertrain technology. RET is widely read, referred to and sought after by its dedicated readership of design and development engineers. UST is unique - the first ever publication to focus entirely on providing independent coverage of the engineering at the heart of unmanned vehicles. It applies the same rigorous scientific approach to this brave new world as RET brought to the subject of racing powertrain technology. Published bi-monthly, UST probes today's cutting edge projects to provide in-depth research insights - rigorous investigation is backed by professional peer review and critical analysis.